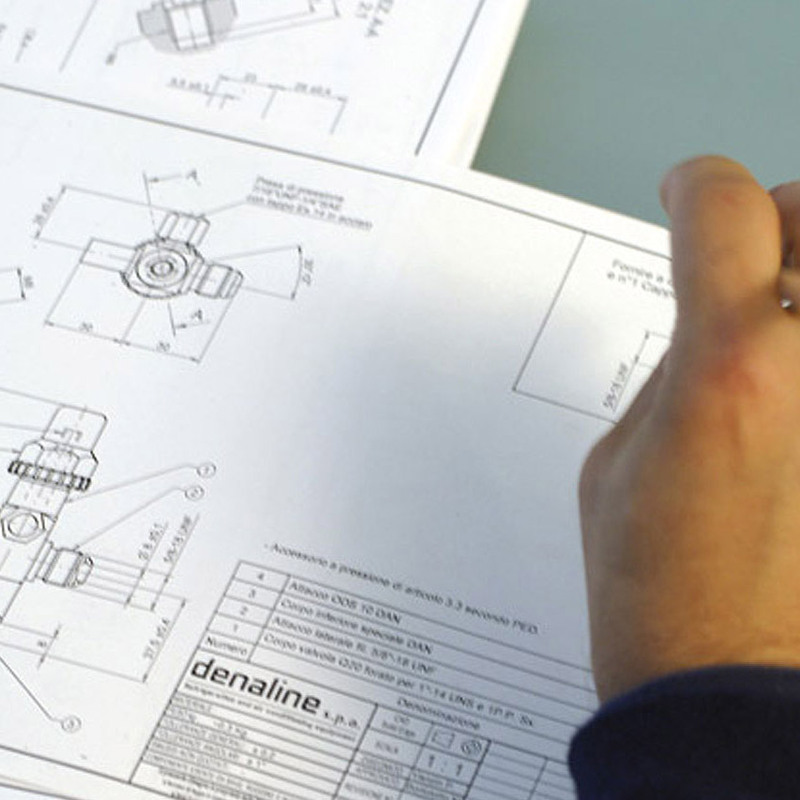 Denaline is widely recognised as a global leader in its sector, selling innovative products for over 40 years, created out of a natural-born desire for continuous improvement. 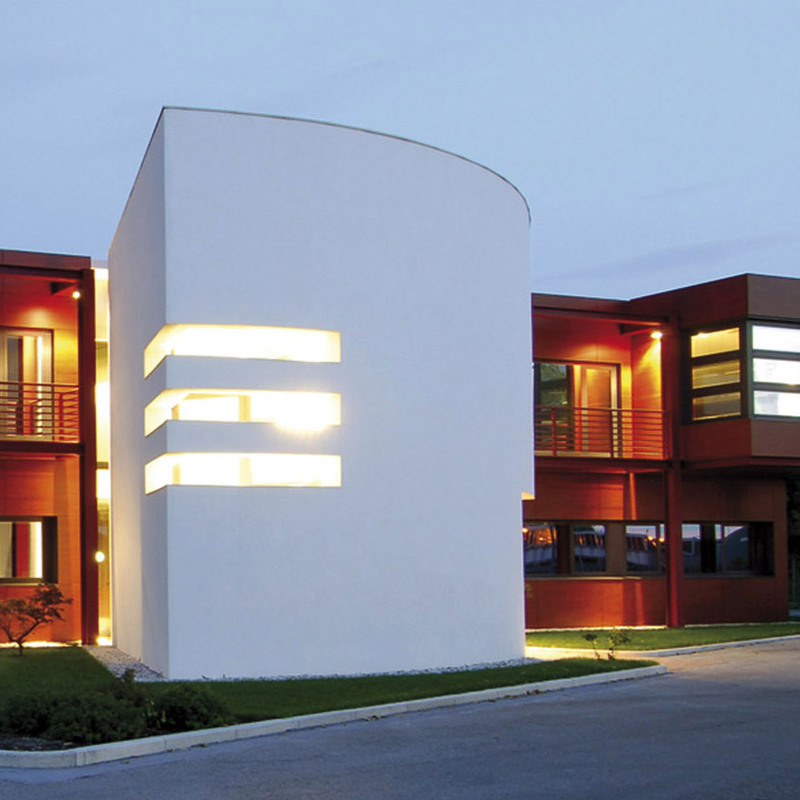 Our products are entirely manufactured at our Pordenone facility and have conquered the main international markets, with an export quota reaching 80% of total turnover. That’s thanks to their controlled, certified quality, performance and competitiveness coupled with our professional, customised service. The Denaline strategies are designed to ensure long-term stability. Investing in training our workforce and collaborators and in innovation has allowed us to develop a fully integrated, technologically advanced production cycle. As a company we encourage talent, free thinking and responsible behaviour and we nurture our collaborators, who have ample freedom to make decisions according to agreed guidelines..
Our company has received a non-repayable grant for the following project: “New, flexible, efficient production processes backed by «Industry 4.0» technologies, under Competition POR FESR 1.2.a.1 “Innovation – food and drink, strategic production chains, maritime technologies and smart health” (2017 Competition). This project regards the introduction of a new process for the company that wants to acquire the technological and computer science know-how necessary to automate and control in real time – even remotely - one of the main production processes of the company, i.e. 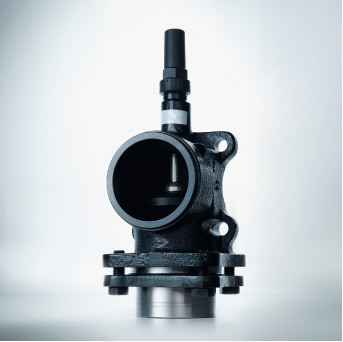 the square valve body, one of the cruxes of the factory’s flow. - acquisition of new customers. Our company has received a non-repayable grant to conduct a research project under COMPETITION POR FESR 2014-2020, Activity 1.2.a “Incentives to companies for collaboration in industrial research and experimental development – Food and Drink, Strategic production chains”. 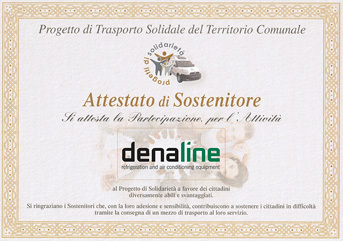 By means of this project, Denaline intends to study and define new organisational models able to support and develop new operational strategies, guaranteeing management of the new technological solutions identi- fied, based on the use of intelligent equipment. Denaline SpA has been operating for 40 years in Pordenone, North Eastern Italy, a city with a thriving entrepreneurial scene which has over the years kept pace with innovation and technology, successfully developing numerous manufacturing companies and thus generating growth for the local area. 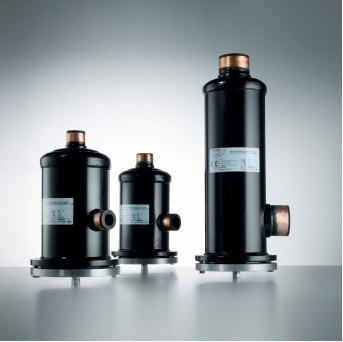 Set up in 1977 by an engineer, Mauro Avanzini, founder and current CEO of the company, Denaline started out selling products for air conditioning and industrial refrigeration such as tube condensers, liquid receivers and bronze connections, mostly within the Italian territory. 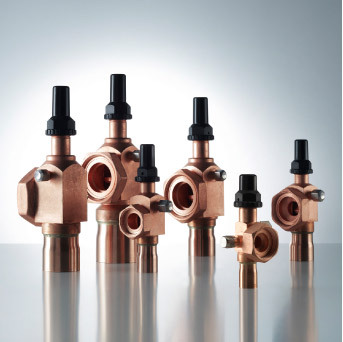 Manufacturing of the first valves and rotalock connections started in 1984, in a rented 300 sq.m. plant just outside Pordenone. 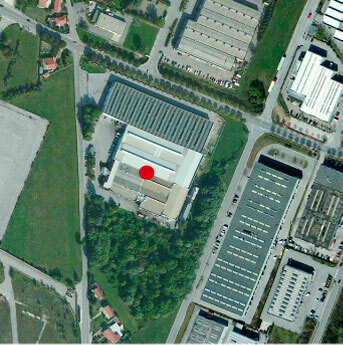 In 1990 in line with a rising demand for industrial refrigeration products and components from major global firms, the company decision makers opted for setting up the first company-owned facility in Pordenone’s new industrial zone, on a 1,400 sq.m. site including manufacturing space, offices and services. 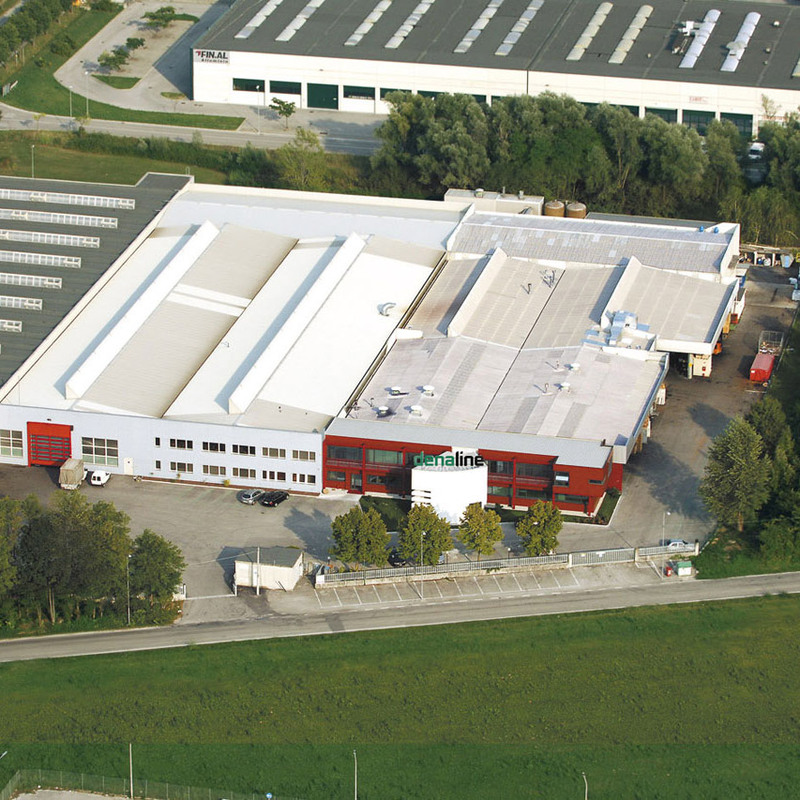 In 1996 the manufacturing facility was expanded by a further 2,100 sq.m. Simultaneously, the management, organisational, technical, sales, administration, research, automated warehousing and logistics departments were all upgraded and made more efficient over the years. Quality, service, competitiveness and responsible, well-considered corporate decisions led overseas turnover to reach 80% of the overall figure. Our clients are guaranteed controlled, tested and certified products, exclusive patented technical and industrial solutions, and a registered brand that's protected at European and world level via direct correspondents. The current site, which doubled in size between 2006 and 2008, sits on 8,500 sq.m., including 900 sq.m. of offices and services. 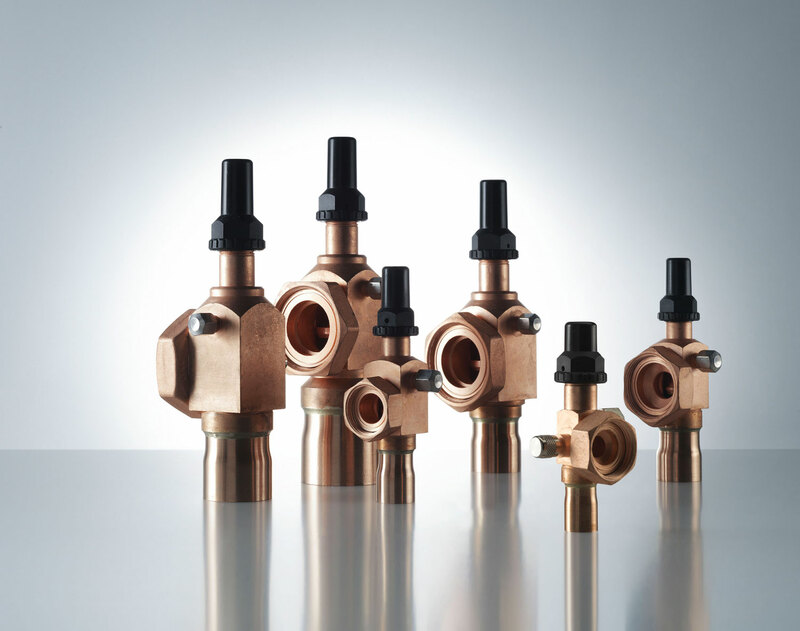 Manufacturing capacity: 250,000 receivers and over a million valves per annum. Our manufacturing processes and systems have been a continuing focus for the company, with the goal of continuing improvement of production cycles, energy saving, environmental responsibility and scrupulous attention to mental and physical working conditions for our workforce . A fine example of Made in Italy drive and ability shaped by an intense passion for working hard that has always been shared by the Denaline staff - from the current company president Mr Mauro Avanzini to senior management and across the entire workforce. A leader is not a leader unless he’s not only thinking about technological innovation and product performance, but also about our shared heritage: the environment. - long product life cycle, another important sustainability factor. Further to an idea of the Municipality of Pordenone, Denaline has joined the “Solidarity for Transport Services on the Municipal Territory” project by contri- buting to purchase a new vehicle to transport patients requiring treatment in specialist centres. This free transport project has been developed by a specialised company that makes specific, accessorised vehicles available to Social Services who use them to transport people with reduced mobility. is a fundamental requisite for a global leader. Denaline manufacturing has always been original, exclusive and effective in all company processes, starting with research and development of innovative ideas that satisfy the needs of our customers, optimisation and customisation of products aimed at containing costs, improving quality and performance of those products and systems to the manufacturing processes where continuous improvement is an essential element of our quality system, right up to after-sales service. Denaline has developed many products internally over the years and these are thus patented or patent-pending. We constantly invest in research and development, new manufacturing technologies and both internal and external resources, in order to create cutting edge products that are both efficient and reliable. 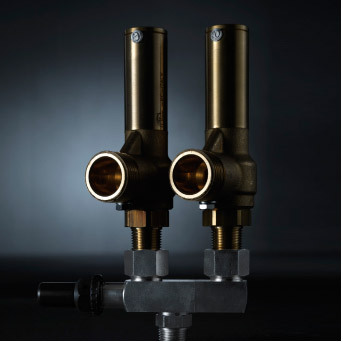 enaline’s products comply with the UNI EN ISO 9001 – 2015 standards, with the European directive 2014/68/EU (Pressure Equipment Directive) and with UL Standards. 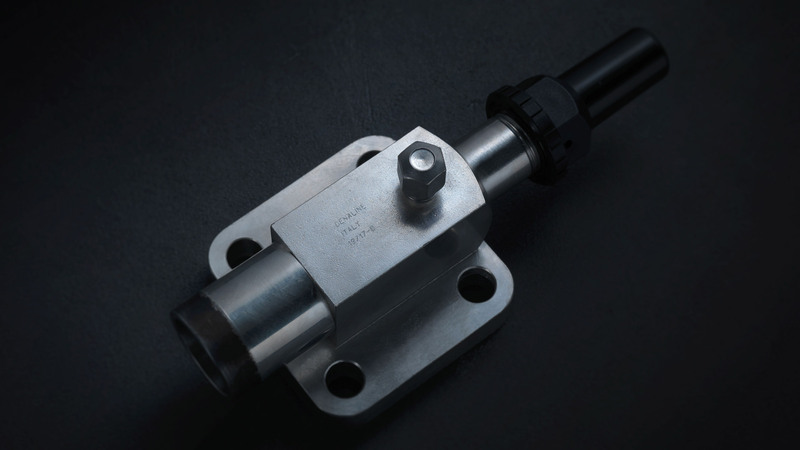 If requested by the Customer, we can arrange for our products to be approved in compliance with the requirements specified by the ATEX 2014/34/ EU (group 2) European Directive and by the AS 4343 Standard (for the Australian market). As one of the leading companies in the world in innovation, it is essential for us to comply with the main international regulations. Denaline has obtained compulsory TR EAC certification of product for companies who export / import and circulate products in Russia, Belarus and Kazakhstan. 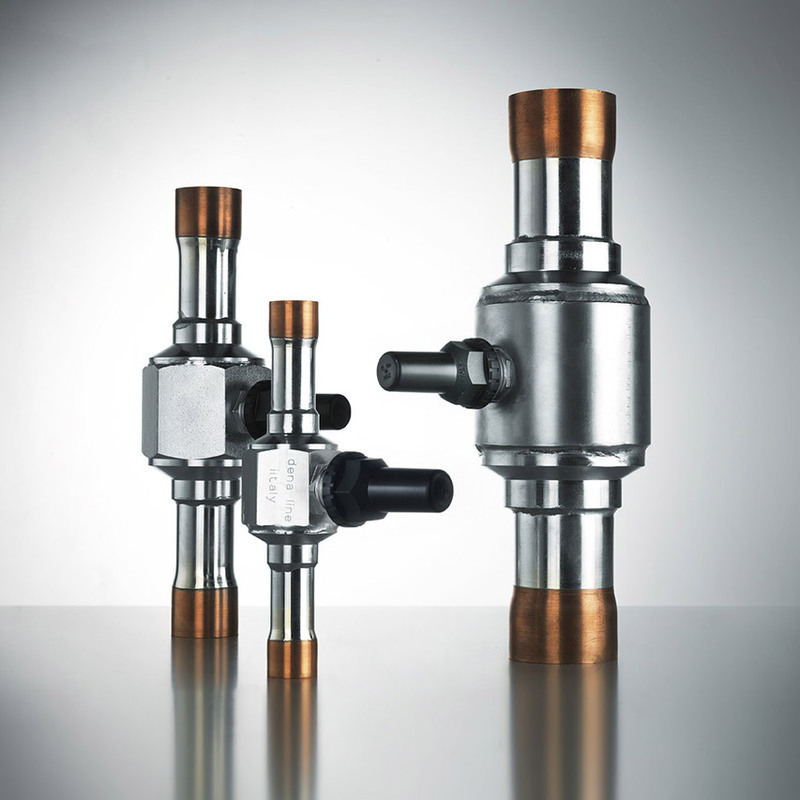 Aluminium, stainless steel and copper are the materials DENALINE uses to create a new category of products that use environmentally compatible refrigerants (carbon dioxide – subcritical/transcritical ammonium and hydrocarbon cycle): liquid receivers, oil separators (patent pending), mufflers, by-pass valves, safety valves, three-way valves, liquid/gas indicators for electronic sensors, valves with copper connections and more. 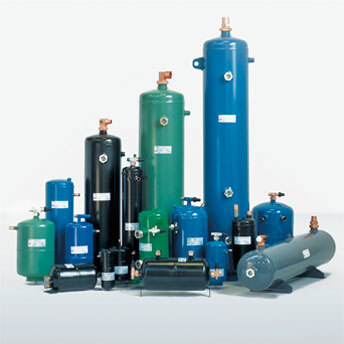 Denaline has developed many products internally over the years and these are thus patented, such as reversible molecular sieve filter driers, sight glasses, liquid and moisture indicators welded directly onto receivers with new technology, valves and refrigerant fluid tubes with incorporated moisture sight glasses and liquid indicators. 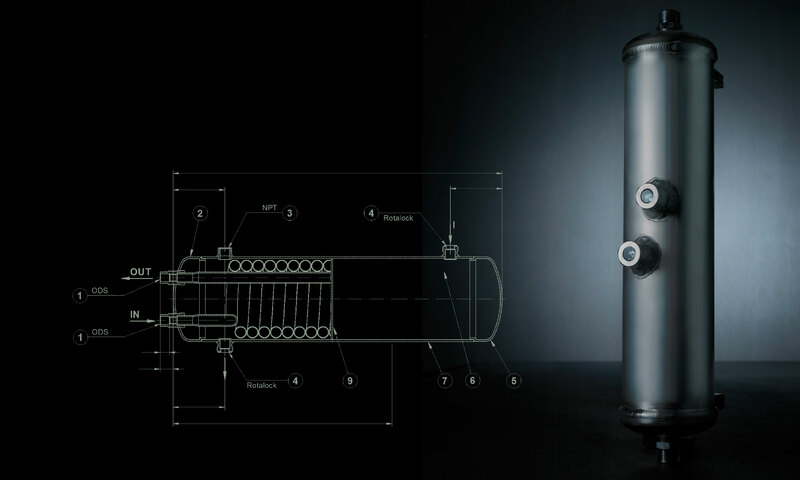 - systems designed for specific sectors. 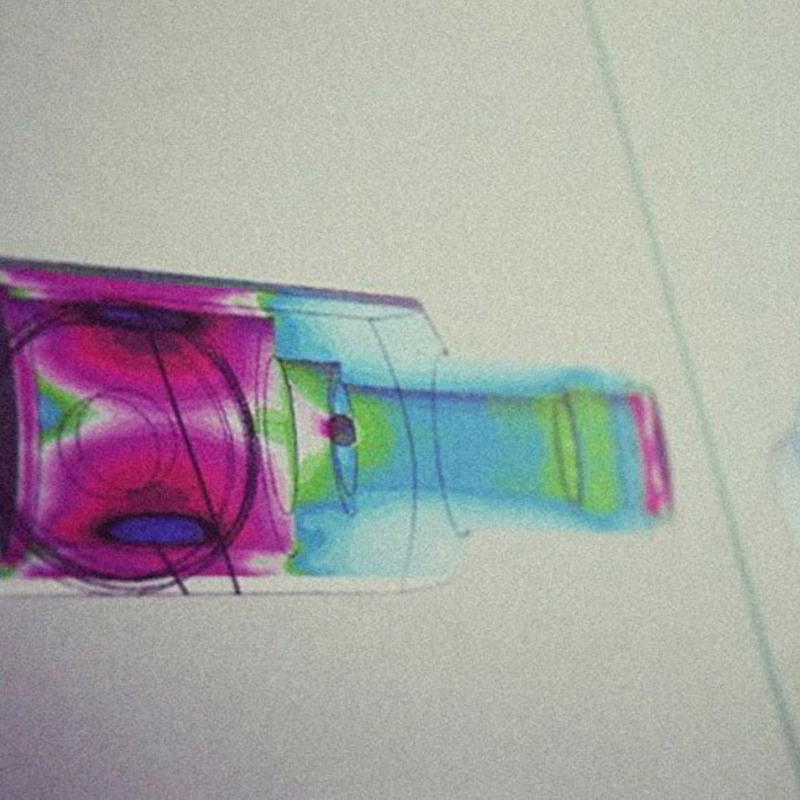 Accurate tests underly the production of all our products. 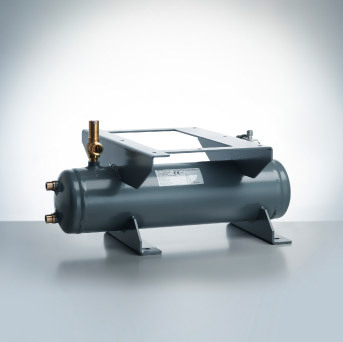 Shown below: variable power oil separators with inte- grated oil reserve (patent pending) for R410a, installed on an inverter heat pump and capable of supplying up to 70kw/h to heat and air condition Denaline’s offices and premises. 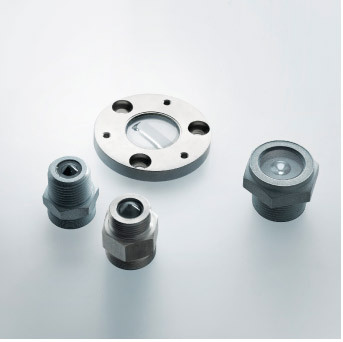 Lightweight, particularly suitable for high performance air conditioning on transport vehicles and other applications. 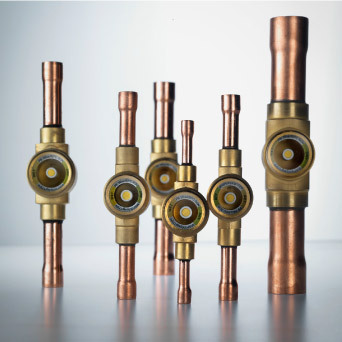 With special treatments and surface coatings, designed to resist working pressure PS up to 200 bar. 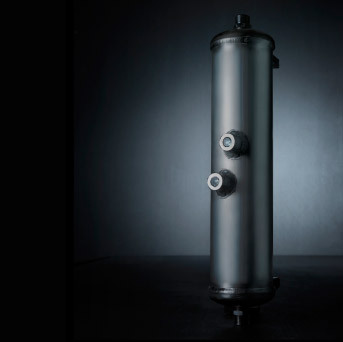 For special uses which require a high hygiene coefficient and excellent resistance to aggressive chemicals. 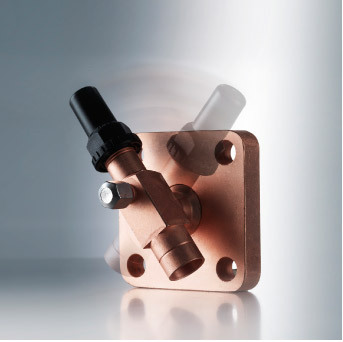 alternatively, with screw-in indicators, rotalock inlet/outlet valves, mounting brackets and various types of connections. 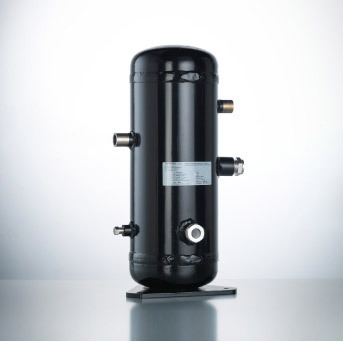 With oil reserve and incorporated oil filter designed for compressor capacity up to 120 m3/h and working pressure PS up to 130 bar. 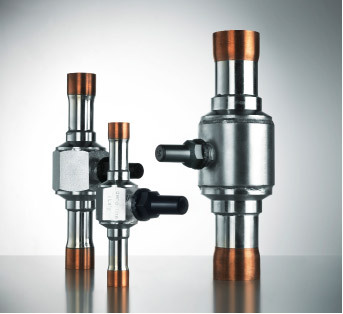 Designed to guarantee excellent performance , compact dimensions. 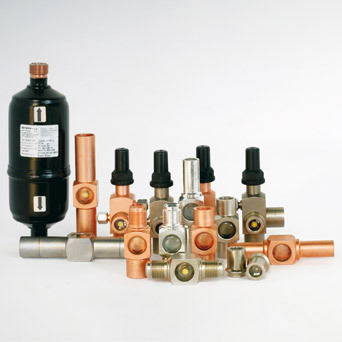 Supplied with delivery valve and safety valve upon request. 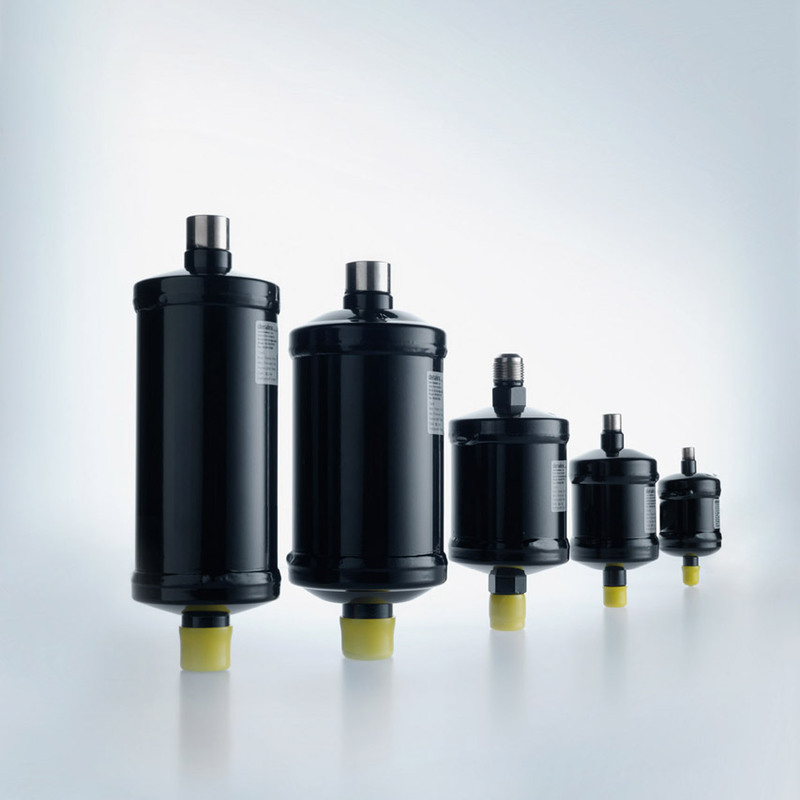 With ODS or SAE connections: Compared to a traditional solid cartridge, the molecular sieve ensures better water absorption and longer filter life. 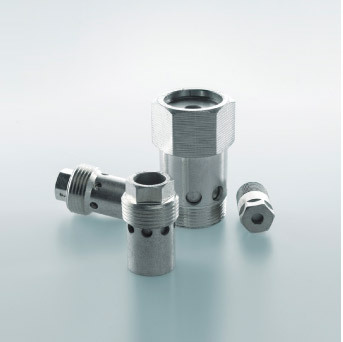 Available from 1 to 4 replaceable cartridges – 100% molecular sieves or 80% molecular sieves -20% activated alumina- with up to 3” ODS connections. 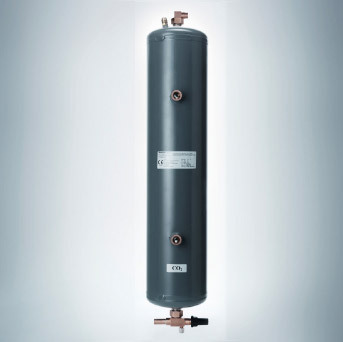 Made of galvanised steel - designed to ensure low pressure drops, can be supplied with safety valves upon request. 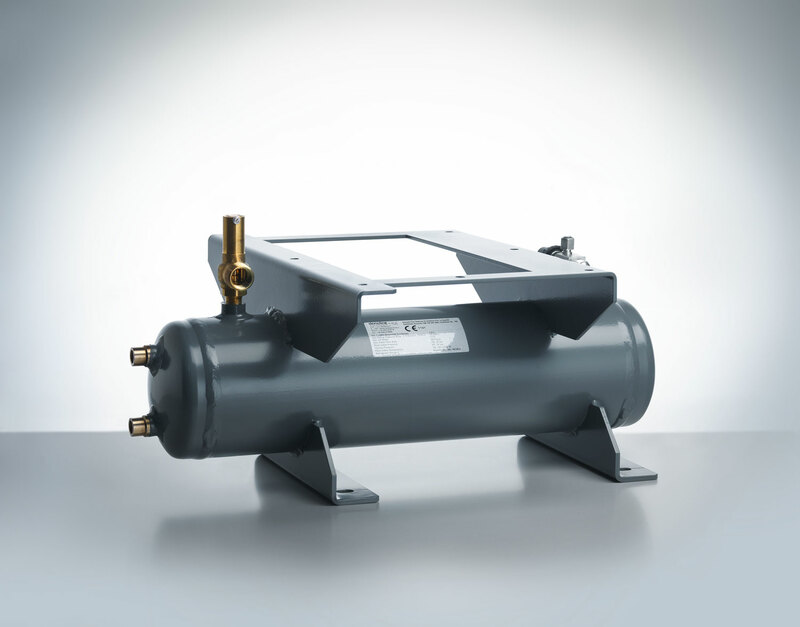 Made of galvanised steel - extremely reliable for semi-hermetic compressors. 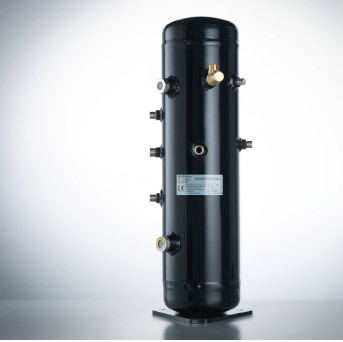 Suitable for both transcritical CO2 systems and NH3 systems. 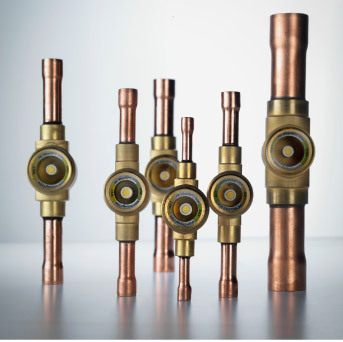 Up to 54 mm and designed to withstand working pressures of up to 120 bar. with moisture indicator for liquid level sensors. 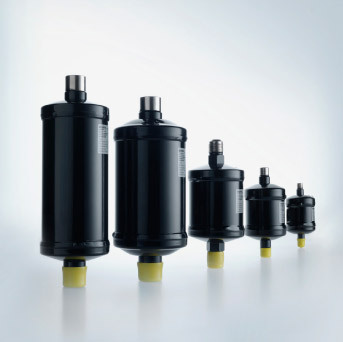 With resistance of over 1000 hours in saline mist, for applications in any environmental condition. Fill in the following form to request information. Il trattamento è diretto all'espletamento da parte della Denaline spa di funzioni istituzionali in virtù dello statuto e dell'atto costitutivo. In particolare i dati personali rilasciati dall'interessato sono indispensabili per l'attività di analisi e di istruttoria finalizzata all'ottenimento di un finanziamento. Essi verranno utilizzati per la gestione del rapporto contrattuale nonché per l'assolvimento degli obblighi di legge previsti in materia finanziaria. Sarà altresì possibile il trattamento dei dati per la tutela del credito, per fini statistici, per analisi e indagini di mercato, per attività promozionali, per la rilevazione del grado di soddisfazione della clientela e per la commercializzazione degli stessi. c) è svolto da personale della Denaline spa e/o da personale di ditte o società ad essa legate in dipendenza di contratti di mandato ovvero incarichi d'opera professionale o altri soggetti in qualsiasi modo incaricati. a) nei casi di cui alle lettere a) e b) del punto che precede, non sarà possibile evadere la pratica od ottenere l'effetto previsto dalla legge o dai regolamenti;br /> b) nei casi di cui alla lettera c) del punto precedente, non sarà possibile ottenere il finanziamento richiesto. Il titolare del trattamento dei dati è la Denaline spa , nella persona del suo legale rappresentante pro tempore, con Sede legale, Direzione Amministrativa e Commerciale in Via Segaluzza, 11B - 33170 Pordenone – Italy. Il responsabile del trattamento è il legale rappresentante pro tempore della Denaline spa. Per ogni informazione inerente il suddetto trattamento ci si potrà quindi rivolgere direttamente al servizio su citato mediante il seguente numero di telefono: 0434 572710.